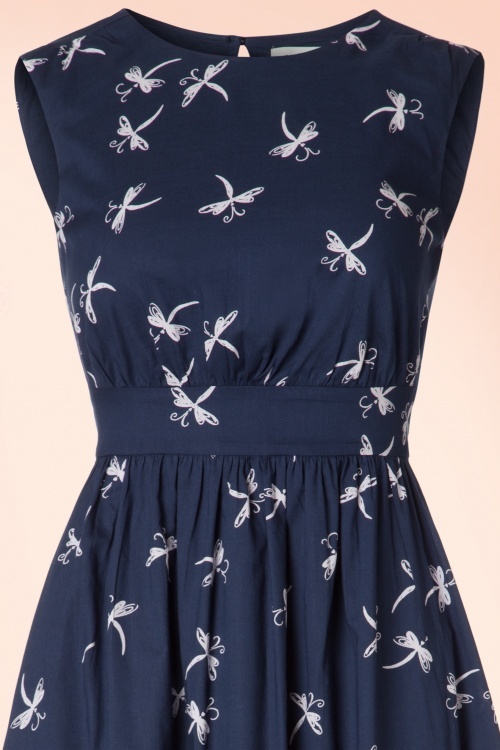 Meet spring in this 50s Lucy Long Dragonfly Dress! 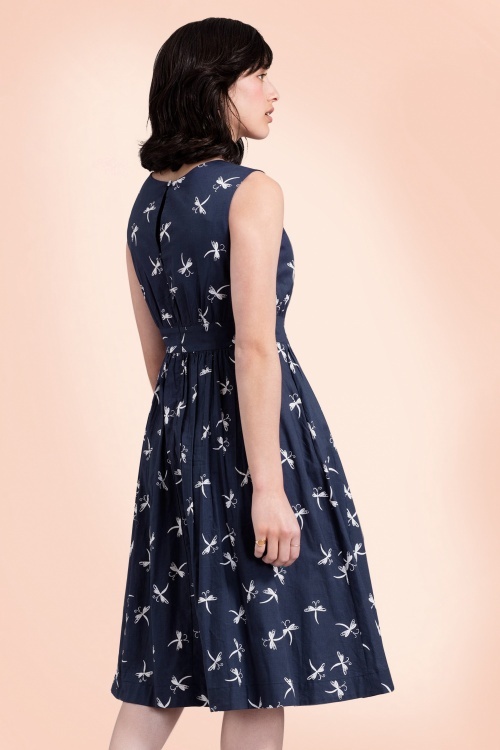 Emily and Fin is well-known for stunning retro dresses with a touch of flair, elegance and playfulness, lovely Lucy is no exception! 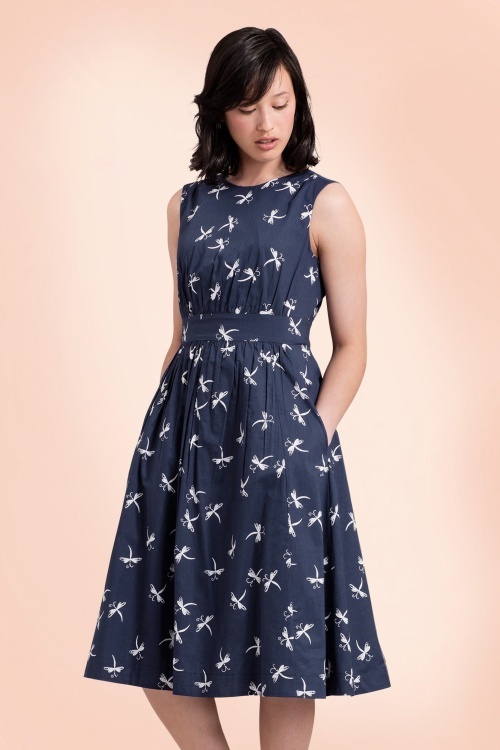 This beauty has a high round neckline, a subtle keyhole at the back and both the skirt and bodice are gathered from the waist band. 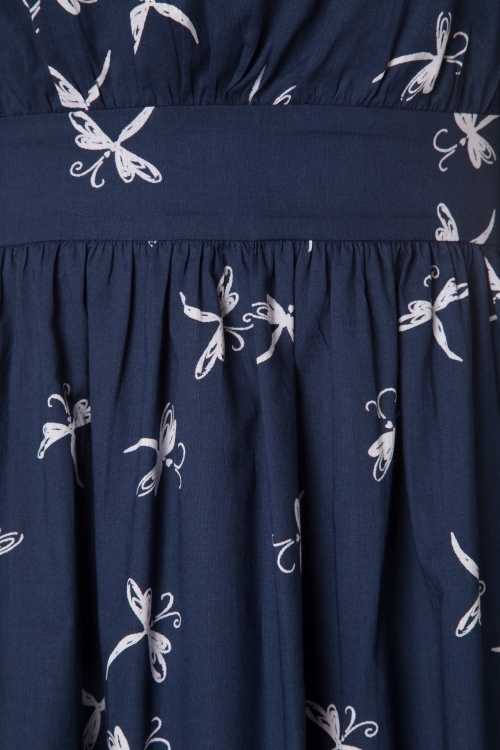 The flowy semi-swing skirt is super flattering for all body types ;-) Made from a breezy midnight blue cotton (doesn’t stretch! 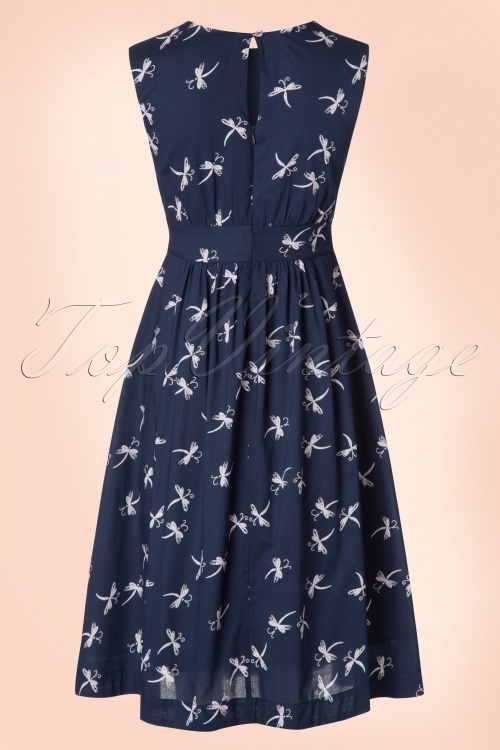 ), fully lined and features a cute white dragonfly print. 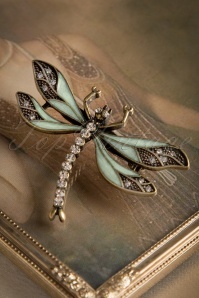 Better be quick, before they fly away! Tolles Kleid, bei 1,68m Körpergröße und ca. 72kg passt Größe L gut. ich dachte erst, ich müsste es am Bauch etwas enger machen lassen, nach der ersten Wäsche hatte sich das aber erledigt, weil es ganz leicht eingegangen ist. Im Zweifelsfall also eine Nummer größer kaufen! Ik heb net mijn japon mogen ontvangen. Beschaafd en mooi in eenvoud. Ik heb vanwege de vorige reactie een maatje kleiner genomen en de japon zit als gegoten. Je krijgt er een koninklijk gevoel van. De stof voelt prettig aan mooie pasvorm en de lengte is prima.